Once upon a time cities literally shut down on Christmas day. Banks, department stores, mom & pop stores, movie theaters – they would all close their doors for a full day. But those days are no longer. While most stores do close in observance of Christmas Day, there are a few places that remain open; in hopes of, or in despite of, a small amount of customers. Or perhaps it’s an effort to tell the world that they know not everyone celebrates Christmas, and that some people would rather go shopping that day. Personally, I prefer to spend the day with my family. But I can see how someone might want to escape for a moment and get a mocha or pack of cigarettes. 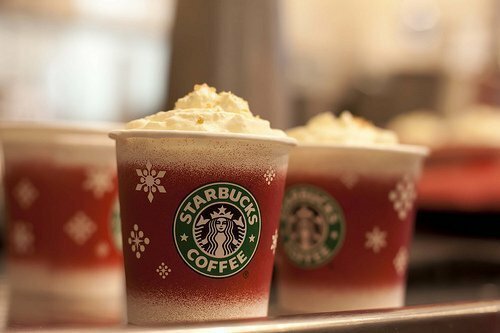 Fortunately for those folks, most Starbucks and Walgreens stores are open on Christmas day,* either all day or with special holiday hours. Larger stores like Best Buy, Target, and WalMart will be closed for the day, with limited hours on Christmas Eve. I have to admit, I’m a bit surprised that WalMart isn’t open on Christmas day. But Starbucks being open doesn’t surprise me in the least. It is, after all, one of the most money-hungry companies in the world. I mean, the work “bucks” is right in their name; do you need more proof than that? *Store hours vary from store to store and city to city; check local store hours before venturing out. next post: Is WalMart Open On Christmas 2010? 50 queries in 0.613 seconds.